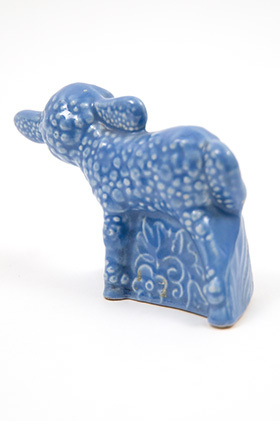 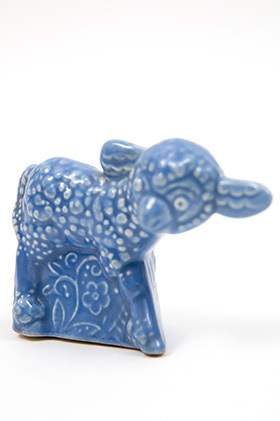 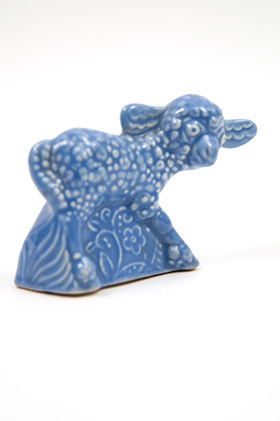 Circa 1939-1940: Produced for less than a year, the small animal novelties that Homer Laughlin produced for Woolworths are a delight to find and add to your vintage pottery collection. Bringing an element of humanism into the tablescape is not a success to which many potteries can lay claim. 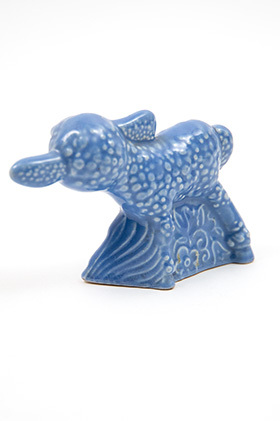 The miniature Duck, Donkey, FIsh, Penguin, Cat and Lamb can add a delighful personality in your cabinets and on your tablescapes. 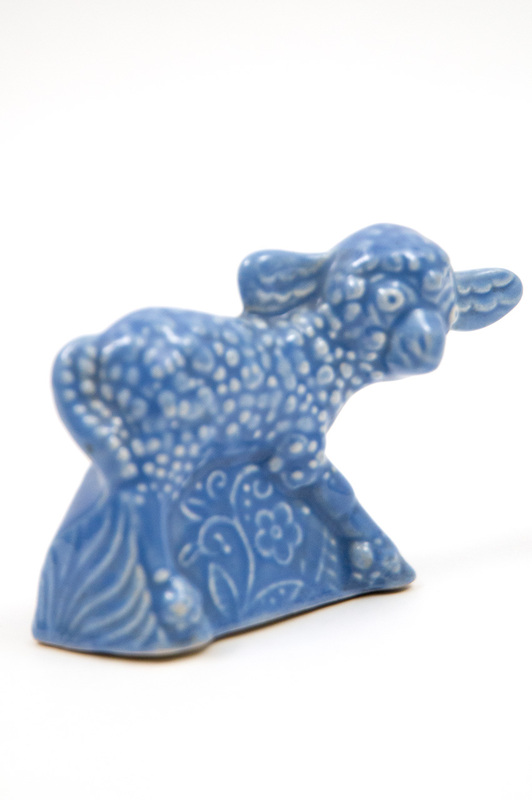 This example of the lamb dipped in the Harlequin maroon glaze is in perfect condition, without damage, use or flaws.